Although it began with map makers, there are now endless options on the web to help you calculate travel distances. Calculating distances ahead of time, enables the traveler to better gauge costs, and generally makes the trip go smoothly. Before the web, AAA and Rand McNally were two of the biggest map companies, which provided comprehensive trip planning services that included travel distances and maps. This involved visiting a bricks and mortar office and speaking with a representative. The Internet changed everything, freeing the traveler to plan trips by booking reservations for flights, hotels, rental cars and calculating travel distances. Although AAA and Rand McNally both have a presence on the web, Google and MapQuest have emerged as the two biggest players in the online map wars. Google does seem to be living up to its promise to dominate the web, providing a number of helpful and free services such as email, datebooks and maps. Anyone can use Google applications, however, if you would like to save and store your information you must create a free account that provides you with an email address. At the Google Maps page, click on My Maps key in the upper left corner. A menu appears that includes a Distance Measurement Tool. After clicking on that, point and click on the point of origin and then the destination. Instantly, a line will appear on the map as well as travel distance. There are many of other tools on this menu including links to gas prices, weather, and hot destinations. Mapquest Direction is one of the fastest and easiest ways to get distance information. Simply enter the origin and destination city and state and receive directions, a map, and travel distance. Mapquest is promising a new version coming soon, probably something more like Google's user friendly tool. Thanks to technology, travelers can reach almost any destination imaginable. The only limitations are time, money, and willingness to spend time in close quarters in order to get there. The question of longer versus shorter travel distances depends upon these factors. Shorter distance trips are best for weekends, and when time or physical limitations are factors. There are often many interesting discoveries right next door. 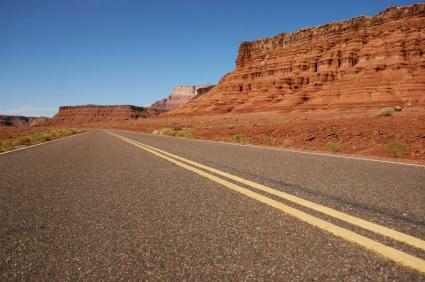 Given rising gas prices, many people have scaled back travel to destinations within 300 miles. Longer distances will provide more of a sense of getting away from home, work and life stress. As long as there is no rush, a long distance road trip is an incredible opportunity to visit communities, discover nature, and find points of interest that may be "off the beaten path". There is a certain freedom to being on the road. On the other hand, driving 3000 miles across the United States, for example, will cost quite a bit in gas, food, and lodgings. Map Crow specializes in calculating distances between cities outside of the United States. You can calculate the distance between Paris, France and Rome, Italy. The site will provide you with a Google map as well. You can also calculate distances between countries. If you want to see distances between major U.S. cities, a table is available.Since the advent of the Internet, you can find travel distances in a matter of seconds.